Have you been wondering what to do with that "Cake" function on your MultiPot? 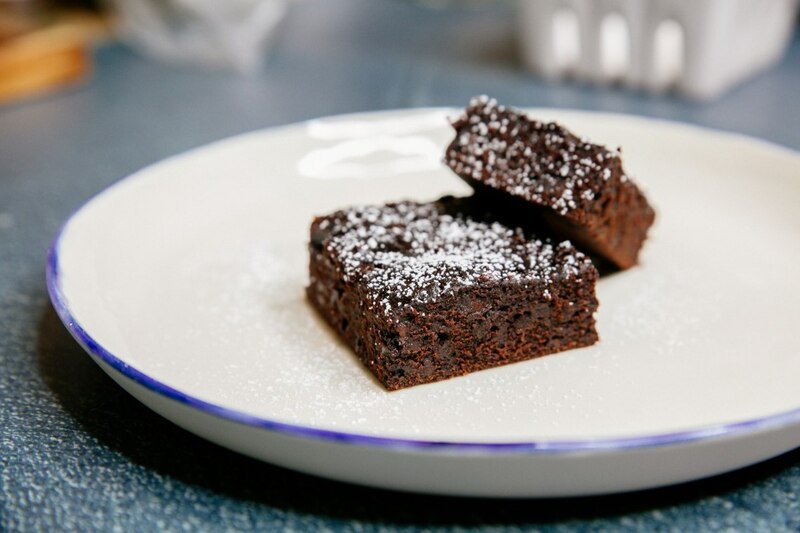 Believe it or not, you can actually make chocolate brownies in a pressure cooker! This recipe is unique because it uses a bit of olive oil into the batter. The recipe also calls for a handful of walnuts. You can easily replace the walnuts with chopped hazelnuts or pecans for alternate flavor combinations. Don't forget to lightly dust these Pressure Cooker Chocolate Brownies with powdered sugar for beautiful presentation! Pour water into your pressure cooker. Lay steamer rack into the cooker. Line a steamer basket with parchment paper. Beat eggs and sugar together in a bowl until smooth; add olive oil, flour, cocoa powder, chocolate chips, walnuts, milk, salt baking powder, and sea salt and mix into a thick batter. Pour the batter into the prepared steamer basket and smooth into an even layer. Select Cake and cook for 20 minutes. Remove lid and let brownie cool for 10 minutes before cutting to serve. Have you ever wondered why you put a pinch of salt in dessert recipes? Since salt is a flavor enhancer, a pinch of salt triggers sensors on your taste buds to make your dessert taste even sweeter! Per Serving: 303 calories; 19g fat; 29.8g carbohydrates; 6g protein; 62mg cholesterol; 91mg sodium. I'm addicted to these chocolate brownies. They were so simple to make in the pressure cooker and they turned out perfect. This is such a basic recipe that all pressure cooker owners should have in the kitchen repertoire. These are great with a scoop of vanilla ice cream! I love this recipe like a fat kid loves cake! These brownies were delicious, moist, and chewy. I don't know that I will make brownies any other way. Much easier than oven baking them. Hi, These sound amazing! I don't have a steamer basket, is there something else I can use instead? These were really moist. Doesn’t make a huge batch, but good enough when you’re craving something sweet. I also added in some peanut butter, swirled in the batter. 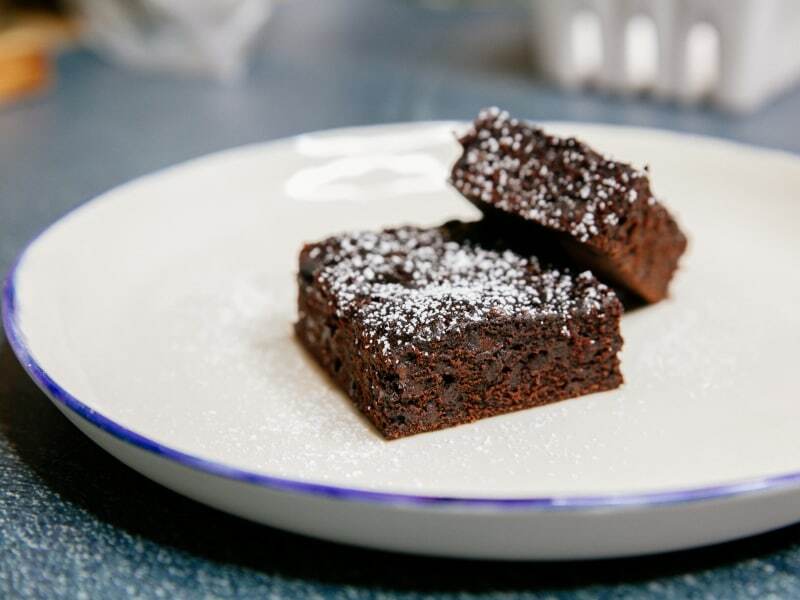 I made my famous sweet potato and fudge brownies, and they were so delicious. Next time I may add a cherry topping. I’ve made the recipe twice so I must like them well enough. It’s just different that the brownies are so small and mine don’t rise very high. I cut them in teeny squares which looks odd. The recipe produces a very small quantity. I did have to get used to the steamed consistency as opposed to brownies baked in the oven also. Consistency was very strange. My kids enjoyed them, but they eat pretty much anything. Probably won’t ever make again. Quick and easy, but not my favorites. I can't get with the texture. Guess I'm just used to more "cake" like brownies. Don't think I'll make them again. Yuck! Disgusting!!! I don’t think I’ve ever tasted anything so gross in my life.